Dolly Brooks was born in Rouyn Quebec and grew up in Northern Ontario. She lived and worked in Kanata for many years, before moving to Barry’s Bay in 2001. In 1977 she started painting in oils, but now she works mainly in watercolours. 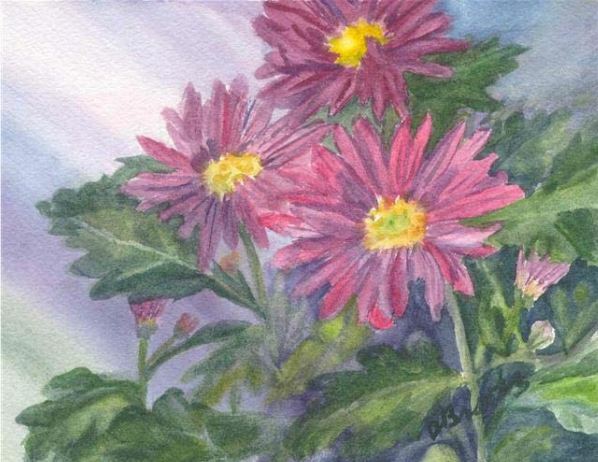 From her garden she found the inspiration for many floral paintings.From the local scenery of the Ottawa Valley she captured many historic houses, barns, mills and churches, before they were torn down or replaced by newer structures. She also participated in many workshops with internationally known artist. Also exhibited her work at many local galleries at both juried and non-juried shows. Since moving to Barry’s Bay she has had two successful solo shows: with the Art Gallery of Bancroft and the other with the Madawaska Valley Arts Counsel at South of Sixty in Barry’s Bay.